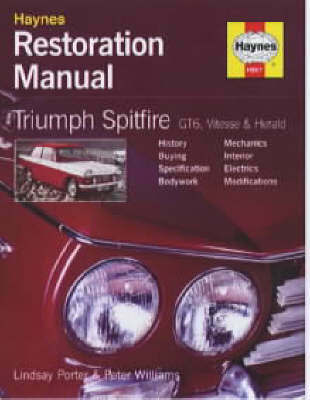 A restoration manual for the Triumph Herald, Spitfire and its derivatives. When these models first appeared in the 1960s, their radically new design features made them perfect DIY cars for the owners of the day. Today, those very same features help to make the Herald, Spitfire, GT6 and Vitesse among the most restorable classic cars available for DIY enthusiasts. The booming owners' club movement and the continuing availability of spare parts ensures that these cars will be popular for many years to come.